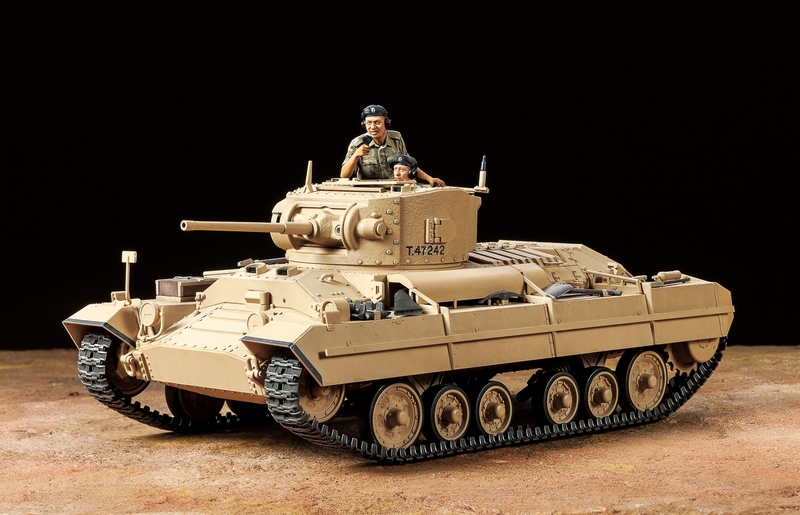 This is an all new tooled model of the British Valentine Infantry tank in 1/35 scale. British armor doctrine in the 1930s up to the outbreak of WWII called for 2 types of tank - more mobile cruiser tanks and heavy, slow infantry tanks. 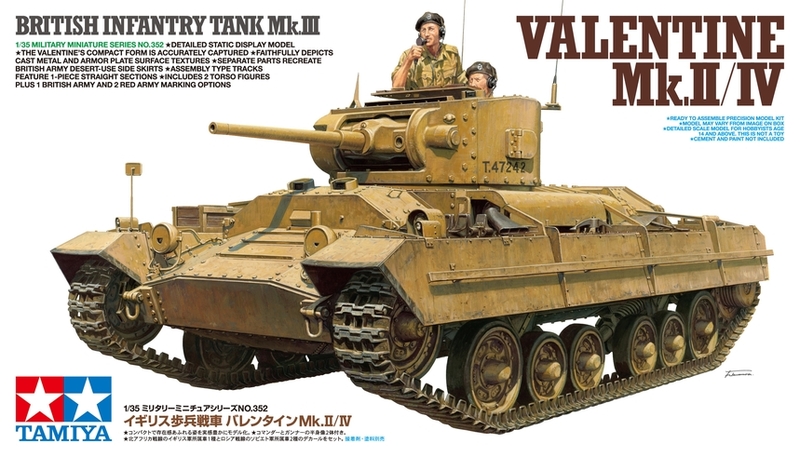 The Valentine was a prolifically produced example of the latter (7,315 units, more than 30% of British tank production in WWII). 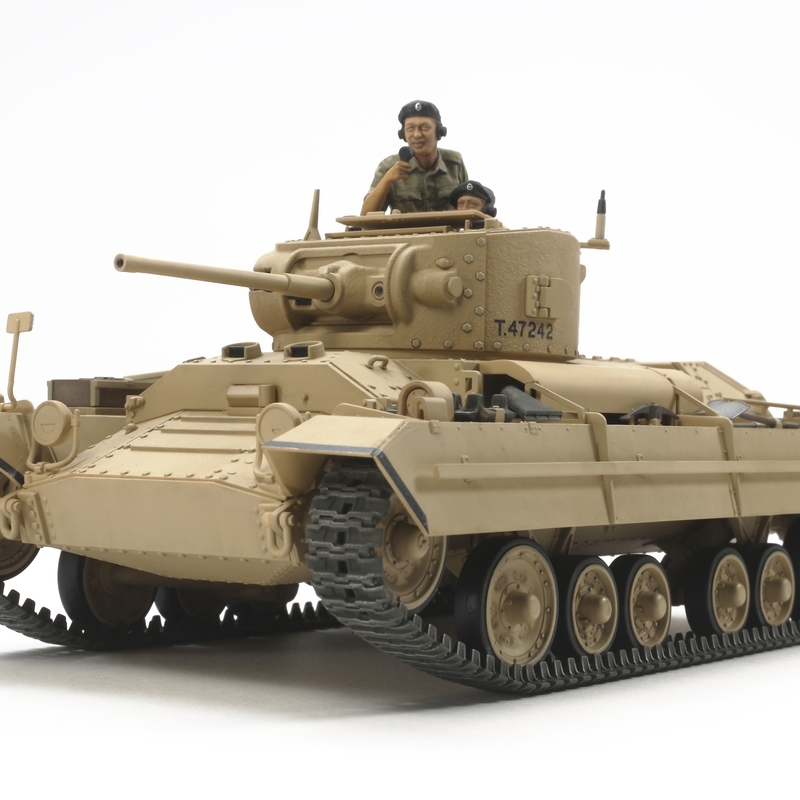 It was based upon existing cruiser tank designs and relatively easy to manufacture, a critical point for the British military after it had lost so much material during the Dunkirk evacuation in 1940. 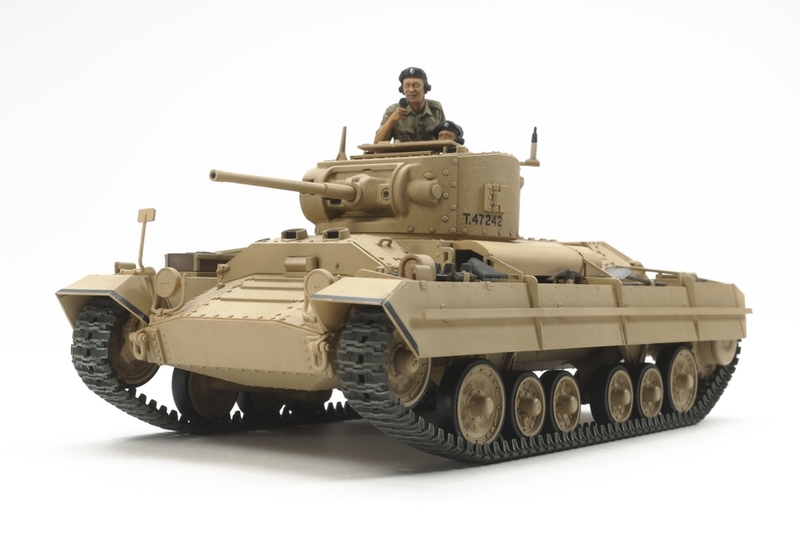 The Valentine would see extensive action in North Africa, particularly the Mk.II and Mk.IV variants (they had different engines) depicted by this kit. Over 4,500 were also handed over to the Soviet Union under the lend-lease agreement, the Red Army using them mainly for recon work. •	1/35 scale plastic model assembly kit. Length: 157mm. •	The boxy form of the Valentine hull is accurately recreated. •	Different surface textures are recreated such as plate metal turret sides and cast mantle parts. •	Comes with separate parts depicting side skirts for use on British Army deployed desert Valentines. •	The suspension features link-and length tracks plus multi-piece recreations of the 3-wheel bogies. •	Can be assembled with hull front and turret top hatches in open or closed position. •	Features 2 realistic figures (commander, gunner) for deployment in the turret. •	Includes two marking options, one British Army (North Africa) and one Red Army (Eastern Front).